Violence against children and Type 1 diabetes videos recognized for social impact. 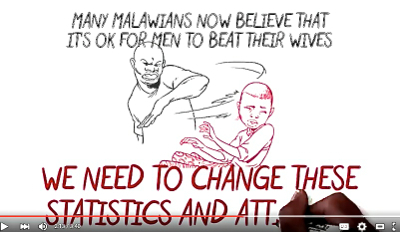 Educating Malawi about violence against youth. OTTAWA, Ontario - June 21, 2016 - PRLog -- Chocolate Moose Media (CMM) has added four more awards for its growing body of animated public service announcements. Three are Telly awards announced June 20, 2016, by one of the top film-and-video awards organizations in the United States, and a fourth is from the U.S. International Film & Video Festival. Violence Against Children, a hand-drawn, whiteboard animation, was recognized twice with bronze Telly awards in the film/video and the People's sections. Rashid: Living With Type 1 Diabetes also took a bronze in the film/video section. In April Rashid won an Award of Excellence at the U.S. International Film & Video Festival. Violence Against Children was commissioned by UNICEF Malawi and produced in association with PCI Media Impact in response to shocking results in a country-wide survey of violence against youth. It runs for three minutes and 40 seconds and was created in English and Chichewa. The animated short was recently presented by CMM at the Media Form Social Impact Summit at the United Nations. Rashid is a series of 12 shorts commissioned by the Qatar Diabetes Association and sponsored by Oryx GTL in response to the growing number of people with diabetes in Qatar as well as in the rest of the Gulf. The videos try to reinforce the rights of children and dispel myths and stigma surrounding Type 1 diabetes. They are aimed at policy-makers, school principals, teachers, parents and youth, and are in English and Arabic. "I am pleased that these awards will shine a spotlight on the work to combat violence against children and affirm the rights of children with Type 1 diabetes. Together, they deal with extremely important issues faced by children the world over," says CMM founder Firdaus Kharas, who directed both award-winning series.